The Hotel is located on the left shore of the river Tepla, near to the Spring colonnade. 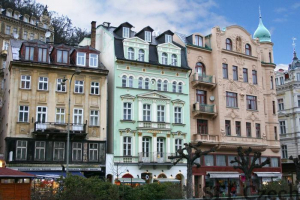 This amenity is ideal for all of the tourists of Karlovy Vary. 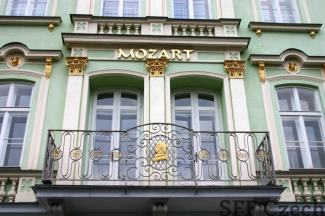 Hotel Mozart, superbly refurbished building, where J.W. Goethe during used to live in 18. century is a great place for the rest, treatment or active holiday. There are 12 double rooms ( 3 with possibility of extra bed ) in Garni Hotel Mozart ***. Every room is equipped with a shower, toillete, TV, fridge, safe deposit box and stylish furniture. 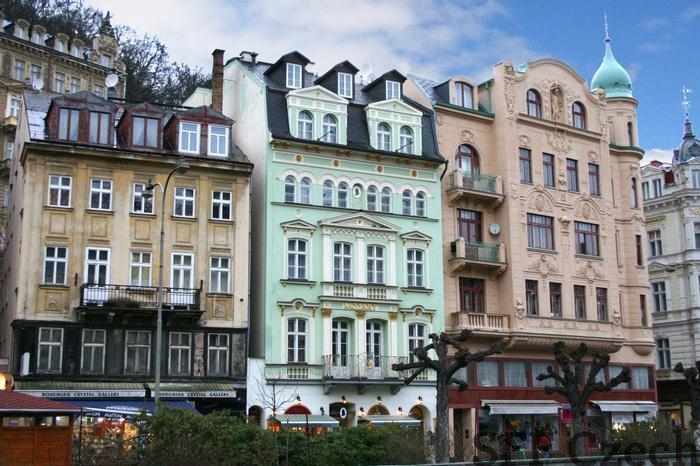 Three stars hotel, Garni Hotel Mozart is suitable for the spa clientele. Guests can find a thermal covered swimming pool, lido, sauna, tennis courts, golf course and another facilities and services ( hairdresser, massage, beauty salon …) in the surrounding of the hotel. 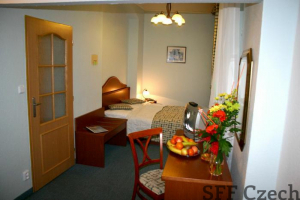 The Hotel is a dependency of Hotel Jessenius, where the check-in and check-out is taking place. 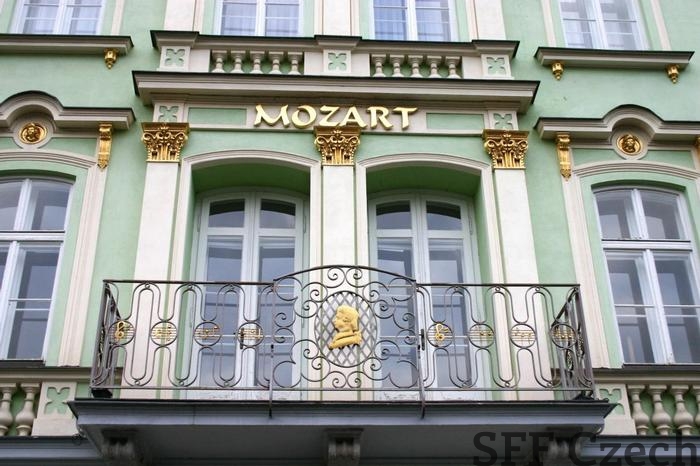 Mozart is not dispatched with reception, catering establishment and balneo-activities. According to this guests use a treatment procedures and restaurant in the Hotel Jessenius, which is only 70 m from Mozart.